There was a brief time in the mid-’90s when a small Arizona bar band took popular music by storm. Following a heralded appearance at SXSW, Tempe’s The Refreshments were signed by Mercury Records, released a commercially successful major label debut album, appeared on Late Night with Conan O’Brien and composed and performed the theme song for the hit animated FOX comedy King Of The Hill before drug addiction cost them a member and changes in label leadership cost them advocates for future success. Here’s To Life, the new crowd-funded documentary feature film from director Taylor Morden, chronicles the equally meteoric rise and fall of The Refreshments and their eventual rebirth as an independent band that has maintained a successful career for nearly two decades. Packed with archival footage and new interviews with band members, producers, managers, label executives and other important people to the story, this film presents a nice and concise biography of a band that deserved to be bigger than it was. The film’s tone is positive, matching the current outlook of band members as they fondly look back on the past. 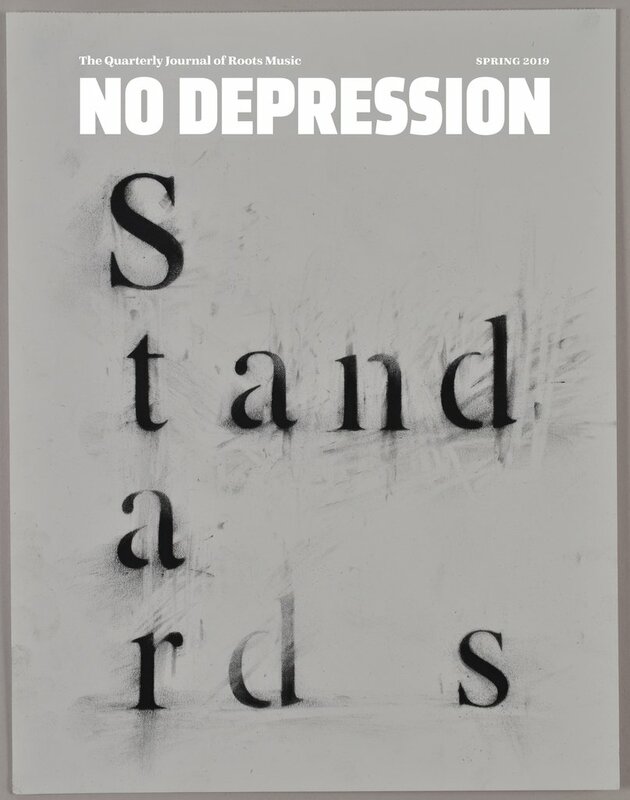 The only real hints of sadness come from drummer P.H. Naffah, who expresses some anger and regrets about the fact that things didn’t go better for the band with the label. The second act is one of redemption and ultimate success as the group’s founding member, songwriter, and charismatic lead singer Roger Clyne joined forces with Naffah to keep the ball rolling under the moniker Roger Clyne & The Peacemakers. This partnership has resulted in a nearly two-decade career that is still going strong with a dedicated and growing fan base – one that comes out in full force to support the band on national tours and one that gathers annually in Mexico for the popular Circus Mexicus events. Here’s To Life is sure to please its intended audience, fans of both The Refreshments and Roger Clyne & The Peacemakers, but it also serves as a great introduction for people just discovering or re-discovering these bands. Rock legend, fellow Arizonan and fan, Alice Cooper, says it best when he states in the film that Roger Clyne & The Peacemakers is “Probably the best band you’ve never heard of.” The same can be said for The Refreshments and hopefully, this documentary will help make more people aware of these hidden gems. In August 2016, Shout! Factory launched a new imprint called Shout Select, which releases classic and cult favorite films on special edition Blu-rays. In its first calendar year, Shout Select has impressed with the diversity and quality of its catalog. Two notable sets from this inaugural year are music-related – Elvis and T.A.M.I. Show/The Big T.N.T. Show. 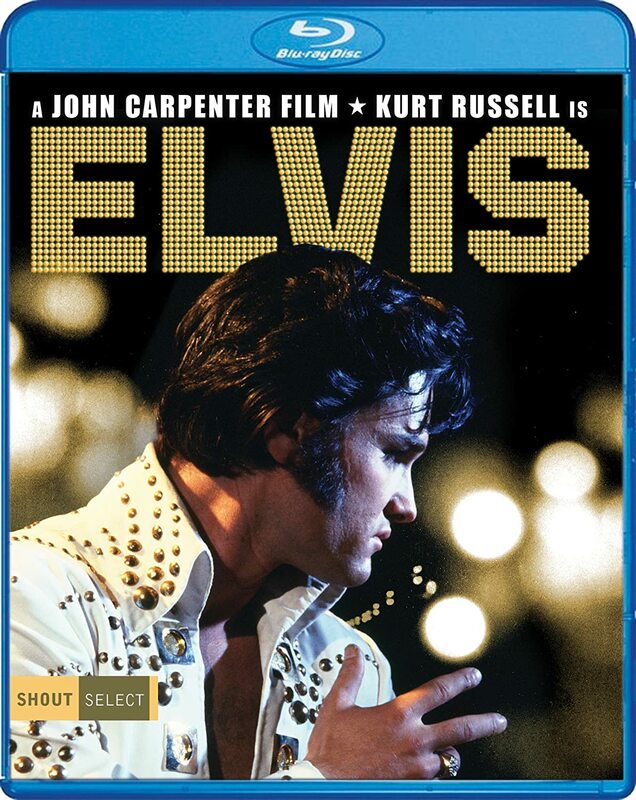 The second release in the Shout Select line is Elvis, the made-for-TV biopic from director John Carpenter and starring Kurt Russell in the title role, a turn that would earn him an Emmy Award nomination. This was the first time Carpenter and Russell worked together, a collaboration that would result in popular films like The Thing, Escape From New York and Big Trouble in Little China. The first-ever biopic chronicling Elvis Presley’s eventful life, Elvis was originally broadcast on ABC in 1979, a mere two years after his untimely death. In addition to Russell, big names like Shelley Winters, portraying Gladys Presley, Pat Hingle, Joe Mantegna and Ed Beagley Jr. all appear. For its Blu-ray debut, Elvis looks good for its age. Even though the picture here is not home theater reference material when it comes to sharpness and brightness, it looks much better than it ever did on television sets in 1979. The sound here is equally impressive. There is one audio track included on the disc – English DTS-HD Master Audio 2.0 – and it does the job nicely. The songs, with vocals performed by country singer Ronnie McDowell, sound great and there are no noticeable audio flaws. In addition to the feature film, the Shout Select release includes some nice bonus features. Along with clips from old American Bandstand broadcasts and a featurette presenting archival interviews with Carpenter and Russell, there is an informative feature-length audio commentary with McDowell and author Edie Hand that provides both historical information on Elvis and plenty of insights into the filming of Elvis. From his earliest days and family struggles in Tupelo, Mississippi to his rise to fame and eventual untimely death, this film gives a nice overview of Elvis’ life without dwelling too long on any particular topic – especially the lifestyle choices that would ultimately cost him his life. Much better than you might expect from a late ‘70s TV movie, Elvis is an enjoyable watch with some great music. 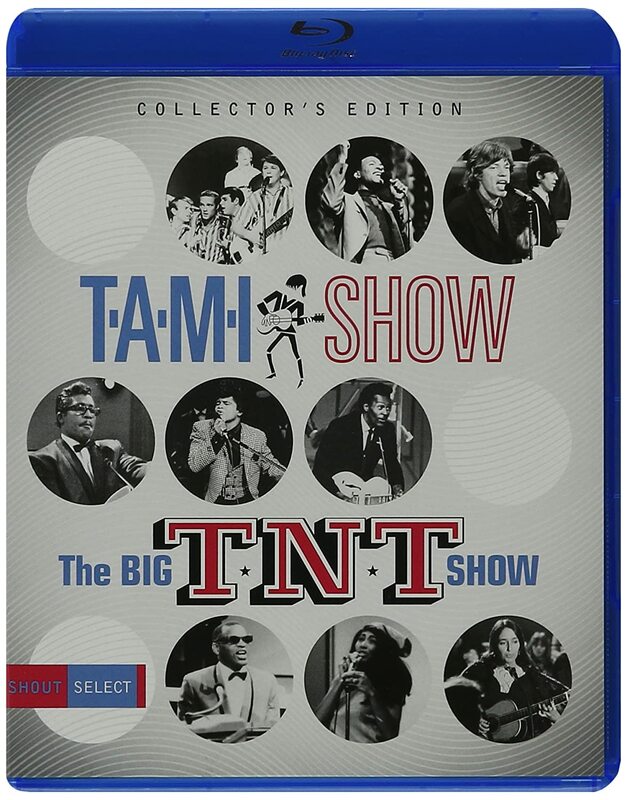 Another standout Shout Select release is T.A.M.I Show/The Big T.N.T. Show. This 2-disc set presents two groundbreaking concert films from the mid-’60s – 1964’s T.A.M.I. Show and its sequel, 1966’s The Big T.N.T. Show. A compilation of highlights from two days of performances, T.A.M.I. Show features some of the biggest rock and R&B acts from the early ‘60s – Chuck Berry, Marvin Gaye, Gerry and the Pacemakers, The Miracles (featuring Smokey Robinson), Lesley Gore, The Beach Boys, The Supremes, Billy J. Kramer and The Dakotas and Jan & Dean, who also served as the event’s emcees. The film was anchored by two standout performances from James Brown and The Famous Flames and The Rolling Stones. Shot in “Electronovision,” an experimental higher definition film process developed by the show’s producer, Bill Sargent, the black and white footage on this Blu-ray release looks fantastic given its age. The same cannot be said for the audio. It is not bad – actually better than I expected it to be – but it shows its age and reveals the challenges of recording live concert audio in the early days of rock music when equipment and techniques were still developing and teenaged girls were screaming at the spectacle. Unsurprisingly, the biggest T.A.M.I. Show moments come from arguably the three biggest acts on the bill – The Beach Boys, The Rolling Stones and James Brown. The Beach Boys, featuring a fresh-faced Brian Wilson, impress with live harmonies that rival their studio recording counterparts and The Rolling Stones close out the festivities with a blues-heavy performance that has the girls screaming, but James Brown clearly steals the show. Backed by The Famous Flames, Brown tears through an incendiary 4-song set with enough energy and attitude to outshine everything else that graced the stage both before and after him. This is truly a special performance and we are fortunate to have it preserved in high definition. As if the film wasn’t enough, Shout! Factory included some nice extras, the best of which is a feature-length commentary by director Steve Binder. Binder has great stories to tell and this commentary provides exceptional background information and entertaining anecdotes. For those who enjoy this commentary, I recommend episode #128 of the tremendous Gilbert Gottfried’s Amazing Colossal Podcast to hear an extensive interview with Binder about his fascinating career, including his work on this film. As a sequel, The Big T.N.T. Show was entertaining but a little less impactful than its predecessor. Even though it was filmed just two years later, there is a noticeable shift in the musical landscape between the two, with a greater emphasis on the emerging sounds of folk and country as evidenced by some of the more memorable performers – Joan Baez, The Byrds, Roger Miller, and Donovan. While pop performers take a bit of a backseat here, R&B artists still shine. Ray Charles is exceptional throughout and The Ronettes dazzle in their only two songs, but the featured act here is the show-closing Ike & Tina Turner Revue. Much like James Brown, nobody on the bill can hold a candle to Tina Turner’s on-stage presence and the producers were wise in holding this act until the very end. The overall quality of this Blu-ray is consistent with The T.A.M.I. 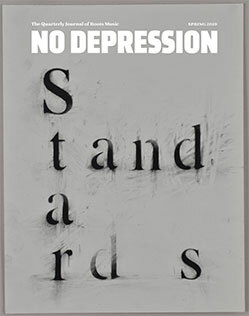 Show, making for an excellent double bill and an ideal Shout Select release for music lovers. Three cult classic films from two separate decades get the special edition treatment thanks to Arrow Video. Both Donnie Darko and House/House II have recently been released on Blu-ray and in doing so, they’ve created the definitive versions of these quirky and beloved films. 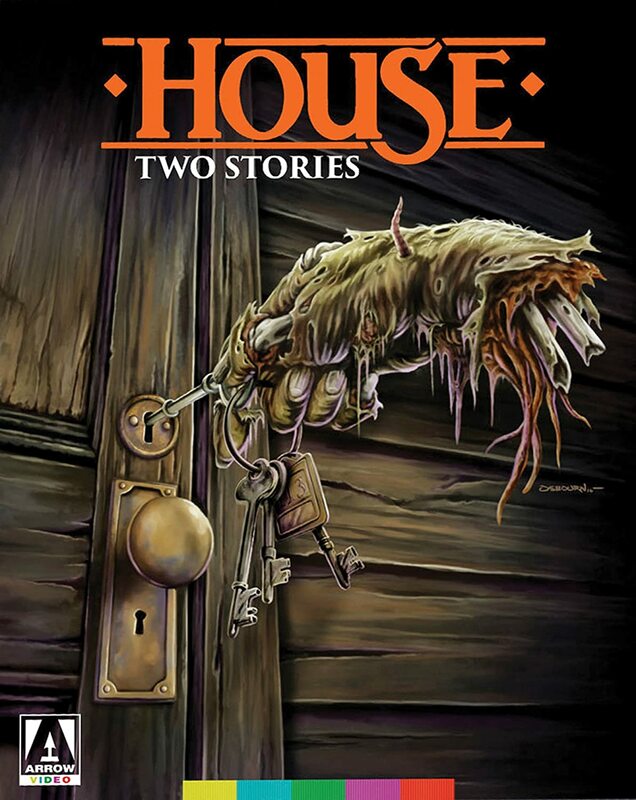 Both 1986’s House and 1987’s House II: The Second Story get new 2K restorations in the tremendous House: Two Stories set. Although these two films share a name, they are not connected by either storylines or characters. In fact, the only real character similarity is that each film features a beloved actor from the television series Cheers. George Wendt, best known for his role as Norm, is featured in the first film, while John Ratzenberger, who portrays Norm’s drinking buddy Cliff, is featured in the second film. Both House and House II walk the line between horror and humor, but the directors of each film take different storytelling approaches. This results in two films that are tonally dissimilar but are both fun to watch and more likely to induce laughter than screams of fright. As odd as this may sound, the original House is based on a somewhat serious and well-conceived premise. William Katt of Greatest American Hero fame is a successful author who retreats to his aunt’s house, following her suicide, to deal with the disappearance of his son and his recent separation from his wife while also trying to write his next book based on his military experiences in Vietnam. Needless to say, the seriousness quickly goes out the door as monsters, zombie soldiers and disembodied hands wreak havoc on his life in this haunted house. With House II: The Second Story, the craziness is off the charts. The film features a storyline that incredibly weaves in elements of Mayan religious rituals, crystal skulls, an unearthed and undead cowboy affectionately called Gramps and a pterodactyl. Adding to the bouillabaisse of weirdness is an odd ‘80s buddy comedy undercurrent. Thanks to Arrow’s new restoration, these films have never looked better since leaving theaters. The upgrade in quality for both films compared to previous home video releases is both noticeable and welcome and should make House fans happy. The real prize here is an insightful 148-page book, The House Companion, which covers anything you would ever need to know about these films. In addition to new original writing, this book also includes posters, concept art, stills from the films and other assorted goodies. This is the kind of bonus feature that makes archival sets like this so special for fans. 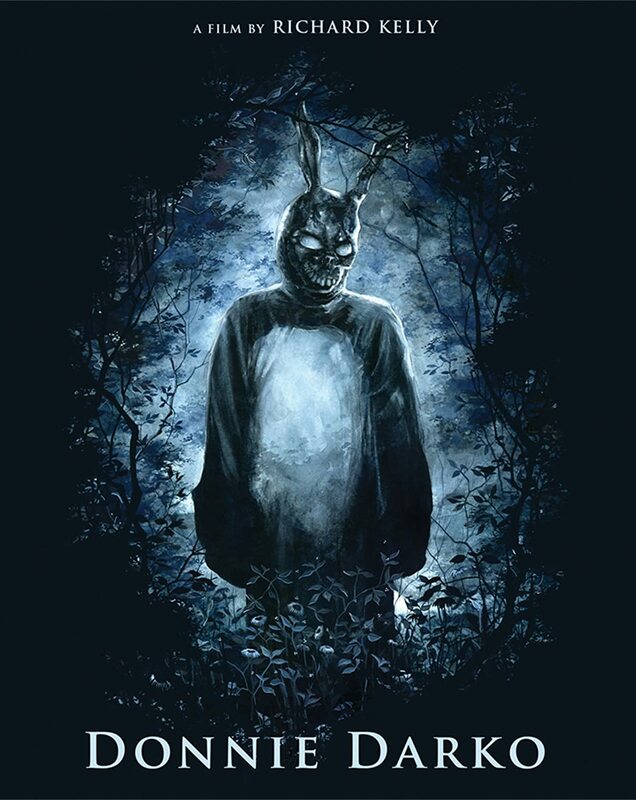 While the House films are examples of the campy horror genre, Donnie Darko, the debut feature film by writer and director Richard Kelly, falls squarely in the category of science fiction. Although hard to describe succinctly, this mind-bending film is about the increasingly complicated life of a high school student whose imaginary human-sized rabbit, Frank, tells him that the end of the world is less than a month away. As Donnie tries to figure out a way to save the world, he must also deal with a therapist, teenage love, and other obstacles. Despite an odd premise, Kelly’s deft storytelling touch, combined with great acting from a cast including Jake Gyllenhaal in the title role, Maggie Gyllenhaal, Drew Barrymore, Jena Malone, Noah Wylie and Patrick Swayze and a mood-setting soundtrack that clearly identifies the film as taking place in the ‘80s, wows at every turn. Success was not a given with this film. Released in 2001 to critical acclaim but a lukewarm box office reception, the film eventually thrived in home media thanks to a tremendous word-of-mouth push and is now considered a classic – regularly earning a spot on best-of lists from both critics and publications. Thanks to its initial success on DVD, a special Director’s Cut of the film was released in 2004, which included more than 20 minutes of extra footage and an altered soundtrack. Arrow Video went all in with this release by including both the original cut and the director’s cut, along with a staggering amount of extras and in doing so created a set that may likely prove to be one of the very best Blu-ray packages of the year. From a technical standpoint, this set is top notch. Both films have been given brand new 4K restorations from the original camera negatives, which were produced by Arrow Video and were supervised and approved by both Kelly and Steven Poster, the film’s cinematographer. Also, both versions of the film include a DTS-HD Master Audio 5.1 mix that pulls the viewer deeper into the film by emphasizing and accentuating the dialog, sound effects, and the soundtrack. As with most archival releases from Arrow Video, the bonus features are notable for both the quantity included and the quality of the information provided. Not only do you get a total of three feature-length audio commentaries over the course of both cuts, but Arrow has created two new features specifically for this set. Deus ex Machina: The Philosophy of Donnie Darko is a feature-length documentary looking back on the production of the original film with a short section dedicated to the director’s cut. Also, The Goodbye Place, Kelly’s 9-minute student film from 1996 is included. Other notable features that have been released previously include trailers, TV spots, a music video, documentary featurettes and the hilariously disturbing Cunning Visions Infomercials featuring Swayze’s troubled character Jim Cunningham. Those just discovering the Darko universe may not want this deep of a dive, but the film’s legion of dedicated fans will find hours of entertainment and so much to love on this definitive set. Until next time, enjoy the movies!